A corporate refugee from the media and advertising industry in the US and Malaysia, Mindy’s search for purposeful career led her deep into to the Australian social enterprise sector 8 years ago. Currently at B Lab, Mindy is building a community of purpose-driven businesses in Australia and New Zealand to redefine success in business. Mindy feels fortunate and humbled to work with this community of certified B Corporations, who hold themselves to a high standard of accountability and transparency. 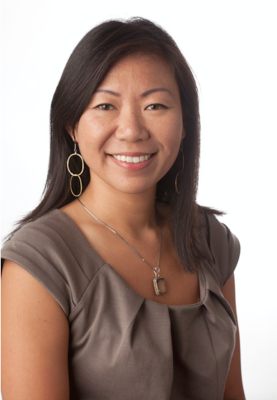 Passionate about business as a force for good, Mindy has an MBA from Melbourne Business School and a journalism degree from University of Wisconsin-Madison. B Lab is the non-profit behind B Corp certification, pursued by companies who operate at a high level of accountability and transparency. 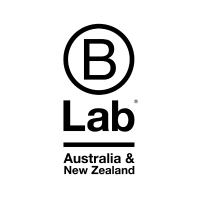 In three short years, B Lab have grown a movement of entrepreneurs using business as a force for good in Australia & New Zealand. We have 200 certified B Corps, all of whom are proving that businesses can make money and solve social and environmental problems at the same time. These two pursuits are not mutually exclusive, in fact, it's a better way to do business. In recent years, business increasingly has been viewed as a major cause of social, environmental, and economic problems. Companies are widely perceived to be prospering at the expense of the broader community. The solution lies in the principle of shared value for all stakeholders—companies should actively benefit its employees, communities, customers and the environment. Hear from B Lab on how they are redefining success in business by growing a movement of leaders who are using business as a force for good. Also hear from certified B Corporations Beyond Bank and Freerange Future who are inspiring case studies on how to put purpose into practice. Purpose driven businesses; profit-for-purpose Certified B Corporations; Benefit Company legal amendments; corporate governance, leadership and the new economy, Shared Value, Corporate Social Responsibility (CSR), Measuring and Reporting Impact. Take the B Impact Assessment as the first step to measure the social and environmental impact of your business.